I am very happy with Pure Sleep. It is a soft approach. I gently dozed off and slept through the night. What's really great is that it did not leave me drowsy the next day. The first night I used this I couldnt fall asleep. The second night I took it & it did help me to fall asleep, however, I did wake up once around 2am to use the bathroom. I did fall back to sleep upon returning to my bed. This is the first product that has worked for me as I have tried many others. I would highly recommend this to anyone who has trouble falling asleep at night. I've tried every herbal supplement including everything that my naturopath recommended. It was a relief to find the right combination of natural ingredients to help me sleep. It has all the required ingredients for me ! There is no ‘hangover and I feel fresh as daisy the next morning ! I have been only taking melatonin until I tried this product. A major difference has occurred as I have been sleeping much better. What I notice the most is it bringing rest to my legs. I jog along with doing weightlifting after working for 9 hours. My energy level is very good for a 56 year old. This supplement allows me to sleep and rest much more effectively and I will be purchasing more very soon! I now take Pure Sleep + 2.5 melatonin and get an average of more sleep per night than I did ... and I wake up alert. I HAVE SUFFERED FOR YEARS. NOT SLEEPING SUPPLEMENT HAS HELPED ME GET A GOOD NIGHTS SLEEP. Thank you Advanced Bionutritionals for helping me to get to sleep and stay asleep. Pure Sleep is a great product because it helps me to drop off to sleep easily and sleep throughout the night. Yes I would recommended this sleep aid to others . Best natural sleep aid I've ever tried. Has me sleeping sooner and deeper than anything else. Has all the best quality ingredients too. I've tried many different sleep aids and this one works really well for me. The combination of herbs and small amount of melatonin allows me to fall asleep and go back asleep if I wake up. Other products either had to much melatonin or didn't work. This has been a real life saver for me. I've been looking for something that would help me sleep but not cause side effects. I've tried several things even Melatonin which makes me sick. This is the first one that really seems to work. So happy to find something that works that is not killing me. I had the best night sleep in twenty years after taking "Pure Sleep" produced by Advanced Bionutritonals. Very effective in helping me get drowsy so I can sleep. I like the combination of ingredients it contains. I like that it is a capsule,; many of your products are tablets. Tablets tend to not be adsorbed as well. Good job on this product.. I've been looking for a supplement that will make me sleepy AND allow me to get to sleep within an hour. Up until now, I've been taking strong sleeping pills and waking up a zombie. BUT NOW I'M FREE FROM THAT - PURE SLEEP HAS GIVEN ME A GOOD NIGHT'S SLEEP FROM THE FIRST NIGHT I USED IT. It's incredible - a nice peaceful sleep and I can now wake up, get out of bed and start my new day. Pure Sleep is my miracle and if it can work for me, I think it can work for anyone. I especially like the fact that this product brings on a feeling of relaxation and encourages sleep very gradually. It's very effective. I've tried a number of products/supplements to help me sleep. Of all I've tried, this one works the best for me. I didn't notice anything for about two weeks but after that I was able sleep. 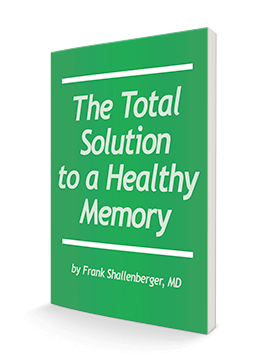 It doesn't produce a "groggy" or sleepy sensation like over the counter sleep products, it is more subtle. I don't take it all the time but when I need it I take it. I also take a low dose of melatonin. I would prefer that it had a lower price. I live in Canada, so realize that the exchange rate, shipping, and excise tax all adds to my cost. However, to date, i can find nothing in our local health stores that compares to your product. It works nicely for me. I have difficulty falling asleep. This product has helped me tremendously. I've been using this for almost a month. I'm sleeping better most of the time. I still have a few nights when I can't get to sleep, but this really seems to help me sleep! I'm going to order more! I use it regularly, and move into a gentle, non-.sedated sleep easily. totally love this supplement and I gave my other bottle to a friend who also likes her experience a lot. i'm using just one, not the two pills recommended. I felt a bit too dizzy with two but one is the magical. Thanks so much. Over the years, I have tried various products to help me sleep through the night. Nothing has worked. Some of them gave me a dull and hangover feeling the next day. Pure Sleep doesn't do that. When I wake up during the night to use the bathroom, I immediately fall back asleep. I recommend this product to everyone I know. It is a blessing to me. I have tried other sleep products with no effect. I've been using Pure Sleep for about a year. It works! Of all the natural supplements I have taken to assist in sleeping - this is the best. I get it shipped every month. This is an excellent product! It works very well and I will continue to take this to improve the quality of my sleep! 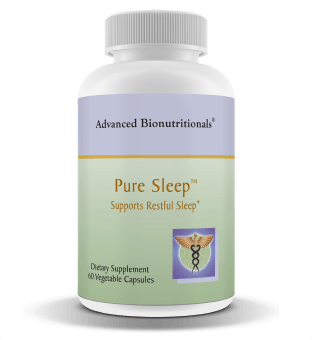 I have used this sleep supplement, Pure Sleep, for several years now. It has worked very well for me. I'd recommend it to friends ir family to try. Before taking Pure Sleep I had a hard time staying asleep. I would wake up several times a night and find it difficult to go back to sleep. Since taking Pure Sleep I may wake up once to go to the bathroom but I go right back to sleep. It has made a big difference in my life. I was able to sleep for more than 5 hours without waking up after using the Pure Sleep supplement. Yes, Pure Sleep helped me to sleep better. Sleeping well is based on many factors, and one of the best parts of Pure Sleep is that many nutritional helpers are all in one place. I love this company! 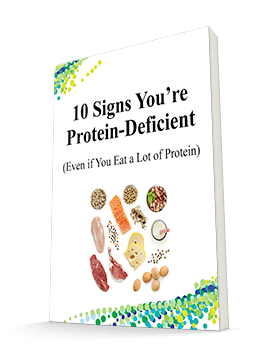 I rarely recommend products to others, but when I have recommended products made by Advanced Bionutritionals, I hear that others are happy with my recommendation. Charell would not miss one night without taking the capsule. I have tried at least 15 supplements and this is the only one that helps me sleep. I wake up refreshed with no side effects! I have good results using you Pure Sleep and will keep on using the Pure Sleep in the future! this has helped greatly. I have recommended it to several people and they have been helped also. I continue to order it. Thanks for a good and healthy product. I will only take natural sleep remedies that don’t leave morning grogginess. I have tried many! Pure Sleep is the most effective: relaxing and sleep-inducing with no morning fog. Have used the product before so I am really having good results! One month of taking Pure Sleep before bed has produced a difference in my sleep patterns. Impressive list of ingredients,not sure why the low dose of melatonin. Has added 2 to 3 hours of sleep which is best so far. Have used for some time and have had a good response! This is the only sleep product that gives me deep restful sleep. Overall the results are positive but are affected by the level of stress I'm experiencing. If I were better able to control my thoughts the results would be more constant as long as the ingredients in every capsule is constant. I have tried numerous sleep supplements, with little to no success, prior to using Pure Sleep. Pure Sleep has proved to be beneficial to my sleep pattern. I have tried many different products but this is the 1st I would recommend. I had been sleeping around 2 - 4 hours total a night. Each sleep period was one hour or less with one hour or more between sleep periods. Since using Pure Sleep I am averaging 6 hours a night and sleep 2 - 3 hours at a time. While I am hoping to gain even more beneficial sleep, this has been a large improvement for me. I feel more rested in the mornings. the ingredients list impressed me. I use this alternate nights with another product and think it is all working well. My experience with PURE SLEEP is OK but not as good as expected. I have been taking pure sleep for spproximatel two weeks and have noticed some difference in being able to sleep better. This is a good product for an over the counter sleep product. I bought this for someone who complained frequently of racing thoughts. He says that this product seems to work. I am waiting for him to run out so I will see if he likes it enough to buy again. Hence I am hesitant to give you 5 stars. I will give you 4 until I see if he is going to continue using it. I have found Pure Sleep to be very good in helping get to sleep faster. Previously I would lie awake for long periods. It worked for me. Other products I have tried did not work. My husband does not sleep well and has tried numerous products. Pure Sleep seemed to work quite well! I take 2 capsules at bedtime and it is effective about 80% of the time. Much better than similar products. combined with another product with more melatonin,then Ican get a longer deeper sleep. I have purchased and used Pure Sleep for a month, now. Sometimes, I will be able to get through the night and not wake up after using it. But other times, I take it, and I wake up 3-4 times during the night. I purchased this for my husband. It worked on the first night of taking Pure Sleep. So far, he's had great success with Pure Sleep. He doesn't sleep through because of getting up to go to the bathroom, otherwise he would recommend this as a good sleep aid. While this product did seem to help me fall asleep & stay asleep, I awoke with a very bad headache each time I took it. I am not certain what specifically caused this response. Oh doesn't work well. You much take two. Since I don't want to take two. I must admit one doesn't do the job. In my case it helped a little, but not quite what I expected. I'm sure it will help others my chiropractor said I was most likely low on trace minerals, so I started supplementing in that area and it has helped some. I was disappointed. Didn't work that well and the pills are large. I had some difficulty in swallowing. IO have gotten some improvement in my ability to fall asleep, but it has not been perfect. It helps me some but not as good as I thought it would. He is still trying it for now but may not continue taking it. Works well to make you groggy, but each time I take it I end up groggy but not asleep for the entire night. It could be my chemical make up, which it means it just doesn’t work for me. I will continue to take it and finish the bottle, hoping that my sleep pattern will improve. Works like all the other sleep-aid supplements: 2 nights, then not very effective. I have to take a different sleep-aid each night, rotating through each one, so as to get a good night's sleep each night. The first two nights I took this sleep aid it put me out, it was great, but since then, it works occasionally. But when it works it’s great. I have middle-of-the-night awakenings and stay awake for 3 hours. That is just the problem that Pure Sleep is supposed to address. For me, it does have "some" effect. But, it is not enough to keep me asleep. I am still awake for 3 hours, although I do drift asleep every now and then during that time. The first few nights I slept fairly well. I stopped using it when I would wake up after 2 or 3 hours of sleep and was unable to go back to sleep. Very disappointing. As much as I'd like to write a 5-star review, "Pure Sleep" made me feel dizzy within an hour of taking it (I was in bed; the room was spinning). It may help a little but not a lot. Possibly I fall asleep somewhat more quickly, at least sometimes, but I wake up during the night as much as before but usually can go back to sleep. Same effect of melatonin- nothing special, I would not recommend this product. I've tried every sleeping remedy, and none of them work, not even this one. So sad. Unfortunately, this product was of no value to me. However, I am under a lot of stress and perhaps nothing will help me to sleep. It was the 6th product that I ordered from different companies. I was just about to write you and ask for a refund, as I did all the others. I went to bed at 10 pm and I’m still awake. Normally, I fall asleep at 5 am and wake up when the alarm goes off at 7 am. I am so tired. Nothing has helped. I felt sure your product would. I need to sleep. I wished I could say it worked, I am so sorry. No difference in my sleep after taking this product. I still have trouble getting to sleep and staying asleep. Pure Sleep did not change this. Did not do anything to help me sleep.Will be returning this product. I anticipated great results from the product but was very disappointed that it did not have any better results than other sleep aids I have tried. I still was awake over half the night. I'm glad you asked, because the product has not given any of the promised results. Both my husband and I are trying it, in the hopes it would give us some restful sleep; any kind of sleep. I fall asleep for a couple of hours, and then I am up all hours of the night, finally falling back asleep maybe around 5 a.m. I plan to return the empty bottles; I am giving it as much chance as possible to help. I cannot recommend pure sleep because it does not agree with my stomach. I didn't get any results from this product and the capsules are large to swallow. This supplement has little effect. I get neither more sleep nor better or longer sleep. It makes me toss and turn all night. I'm so uncomfortable, and the dizzy feeling the next day is not good. I'm already having equilibrium problems enough. From my personal experience, it did not work. I have been going through some changes and have had a very difficult time during the last three months. It all started in May but was much worse during July-September. I used it during all of this time but it did not work.